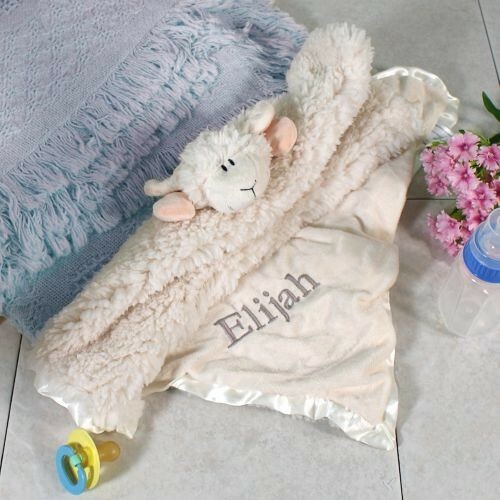 Personalized Embroidered Cuddle Bud Lamb Blanket. The kids will always fall asleep with this blanky. This is the most adorable blanket for the baby. You can have the baby blanket to decorate a baby room or cover over the baby crib. The blanket is so cute that any mom or grandmother will always love it. Create the perfect sleepy-time companion with this super soft and fluffy Cuddle Bud Lamb. You have to have for the baby shower as a baby keepsake for year to come.